The infection mutation has spread to the whole world. In order to curb this disaster, Female Agents of Country X was ordered to investigate the source of the crisis. At the same time, the whirlpool of the mutated incident, a veteran mercenary is fighting zombies that have already mutated. The disaster has broken his happy family and stable life. He needs revenge and find the source of the disaster then destroy it! The premise of all this is to ensure that they can survive. For the common goal, the two cooperate and open up an extraordinary adventure. The residents of this town have all evolved into zombies. Don’t be pity, otherwise you will inevitably be infected by them. Equipped with the most sophisticated weapons, armed yourself, there is no established survival rule here. Survival is the premise, and power is the law. Bullet up, aim at the target, pull the trigger, and show your anger to the behind-the-scenes leader of this mutating event with your sniper-like shooting feel! In addition to the zombies, there are other special variants in this disaster. They are much more powerful than the average zombies. Self-destructive monsters—they will blew themselves when they are close to the hero, causing tons of damage to the hero. Be sure to aim, fire, and shoot before they approach, otherwise your safety will not be well protected. The clown—a monster that attacks in the distance with great damage. When there are many zombies around, remember to give priority to solving the threat of the clown. The Ghost of the Prayer—the incarnation of the dead prayers, they can avoid bullets, the damage is high, but they move very slowly. Keep the sniper’s instinct, shoot fast, accurate, and resolute is the most important premise to deal with them. Old Zombie Monster—high armor and high damage, make sure your guns and equipment are well-equipped and fully armed. If you encounter them, it will be a fierce battle. Pay attention to your position, and ensure that you survive to the end! Be brave enough to face these invaders. Build your own shooter community, challenge zombie monsters, and survive to the end in this epic horror game. For the family and fight for your own beliefs. Win, you will become the hero of this world. If you fail, there will be more people who regard you as an idol and devote themselves to it. This disaster will eventually be solved and become a thing of the past! Are you ready? 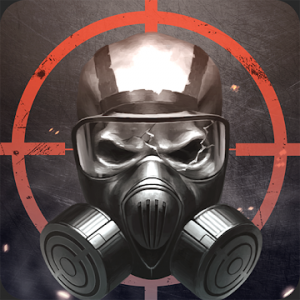 Be the best shooter, survived to the end in this zombie shooting game, let these invaders feel desperate!